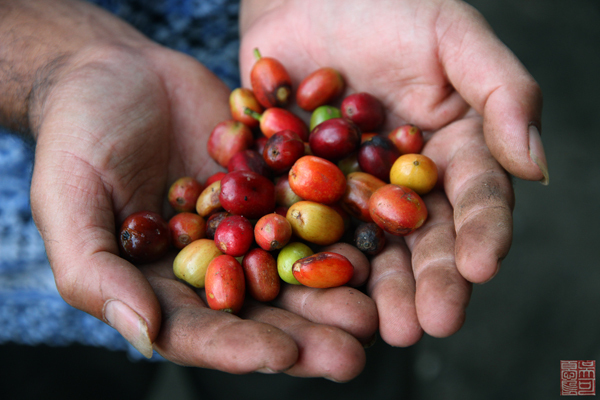 The Gayo Coffee Project images were taken in Aceh Province on the island of Sumatra. Aceh is the only province in Indonesia under Shariah law, and it has only been at peace since 2005. In February, I traveled through the Gayo coffee region near the town of Takengon, interviewing members of the coffee supply chain. I focused the essay on the stories behind the coffee while capturing the whole process from seeding to roasting the beans. We worked with members of the IOM (International Organization on Migration) currently working on an economic development project for the coffee industry in the region. Most of the farms are single family owned and operated with a strong network of co-ops for organizational support. My hope is to highlight the individual people of Takengon and the process of getting coffee from the field all the way to a cup at your local Starbucks.